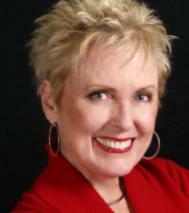 Mesa, Arizona Real Estate - Teri Ellis - Homes Arizona Real Estate: Do You Have a Motto for 2010? My Vision for 2010! Do you have a motto for 2010? I admit I am not a "goal" setting woman. I write lists - lots of them - of "stuff" to do, but I don't make a written goal like so many of you do! Since a "motto" and a "goal" seem different to me, I thought I would write a motto for myself - kinda like a "vision statement," and see if that works for me in 2010! After thinking about it, I picture in my mind where I want to be at the end of next year - a vision of me! I am envisioning this as I write this post. So, the next step would be: how do I get there? 1. Write it down - where do I want to be (physically, career wise, financially)? Or, another could be, what do I want to "be," or "who" do I want to be? Make it simple....just two/three words, or a sentence at most. 2. Move forward - take your first step, and always, always, keep that vision or motto in your mind. Put your vision statement on your refrigerator, or on your monitor - wherever you can see it, constantly reminding you of where you plan to be at the end of the year. I have sayings that I like, quotes that I like pasted everywhere because of their personal meaning to me. 3. Do it! - every day, every week, every month, remember that vision. Keep picturing yourself where you want to be and just do what it takes! I'll share just a couple of the personal "me" by the end of the year. I have a combined vision for my end of 2010! This is the "personal." 3. I'd like to be more "patient" with others. If I write compassionate and listen on a note on my refrigerator, it helps remind me to be more patient! It also means that just looking at the note and doing nothing helps me not at all. So, you see, these are "action" words....takes action on my part to make them happen. AND it takes focus and taking those steps forward. What about you? What/where/who do you see yourself at the end of 2010? Hi Teri, great thoughts for going into 2010. My yearly motto is pretty much my lifetime motto,"Be the change you wish to see in the world." Teri ~ Looks like you are off to a good start. I like Gary's motto.. sort of sounds like Ghandi ... Not a bad place to start.. Another one I like from Dr. Dyer is Excuses be Gone! Rock on Teri!!! I live by my goals and boy do they work!! I have created numerous vision boards that hang in my office so I can see them everyday. The coolest part is going back and looking at everything you have accomplished. It gives you a sense of gratitude. 2009 was "if you can't, then you MUST!!" and it's so true, whenever I get a little scared about something then it means I need to dive head in. I hope you have a prosperous 2010! Hi Teri - Keller Williams has a class called Quantum Leap that includes vision statements and goal setting. Your post reminded me to pull that out of the closet and take a look for 2010. I could definitely start with "Write it down" and calling on a little Gandhi wouldn't hurt either! Teri, no motto...just keeping a positive attitude and writing down goals...works for me. Teri, I have had a great year but I'm ending the year with some transactions that have made real estate NO FUN. I want to get the fun back in my real estate career. I love helping someone with what is probably their biggest investment and I expect some fun buyers will bring the fun back in to real estate. I guess my next years motto will need to incorporate the word FUN. Great idea. I need to learn how to listen better and keep my mouth less active. I bet I would learn so much more with that little change. Thanks and I hope 2010 will be a great year for you. Teri - those are admirable goals. I wish you success in obtaining them, at elast seeing significant improvement. I am pretty compassionate, but could definitely be more patient at times. Teri--I love the Moving Forward idea...It is a Disney quote and one of my favorites to Keep Moving Forward but writing down where you want to be seems to be a very important part of the equation. I like Marchel's idea to put the fun back into real estate. I did open house the last three weeks and it reminded me how much fun talking real estate is with the public. Marchel, I really hope you have a FUN 2010 practicing real estate! Teri it is good to know what you want to achieve at the beginning of the year, nothing like setting the tone and I have full confidence you will achieve your goals. I like the idea of having a vision of who you want to be-and then be it. I think the only thing holding us back from being what we want to be is ourselves. So it takes a little self examination. OK, Self, why are you not who you want to be and then alot of deliberately being that person you want to be until it becomes second nature. Now I am off to to apply that to my organizational skills. Teri this is something I have been pondering a few days. Something on my mind has been. If you really care about someone "talk to them, not about them", have a great 2010. Teri - for me, it would be more helpful to frame the words and put them beside my telephone or on my desk. I look at the frig a lot less hours during the day. My vision for 2010 is to help 20 families buy or sell a home. I am planning to get my SOI and past clients to help acheive this goal, so I am calling it Project Help 20 in 2010. Every time a new escrow closes, that family becomes one of the 20. I have a plan started on how I am going to get my SOI to help me help 20. One of my biggest goals for 2010 is to help 20 families sell or buy a home. I call this goal my "Project Help 20 in 2010". My dream for 2010 is very clear: I want to help 20 people make their dreams come true. Who do you know who is thinking about moving next? Let me describe the four types of people I am going to help. People who are at risk of losing their home to foreclosure. People who own their home and who want to move up to a better home. First time buyers who want to stop renting, and take advantage of the tax credit, historically low interest rates and low home prices. People who want to downsize to a smaller home. I need to enroll you to help me to help them. I only have 12 months to help these 20 families make their dreams come true. That is why I need your help. Surely you know someone that I can help. I am COMMITTED to helping these people. I am full in. Are you in with me? Who is going to be the first family I help in 2010? Is it someone you know? I can't do it without your help. Teri, I am still working on "2009 is Mine!" In my opinion, your 3 goals have already been accomplished! You are a patient, compassionate listener! Just noticed that you were a Spotlight Member today! Congratulations! Writing down goals is so important, if you want to accomplish them, that is! Then you need to chart a course to get there. If something isn't working, modify your behavior, not your goals. If we don't head out in a direction, we'll never get anywhere! Hello Teri! Wow! I'm with you---I love setting goals, motto's, vision statements etc.! Business wise....to become better and better at what I do....personal wise....to live each day to the fullest. Teri, what a fabulous post. I can also "see" you in your post. Very wise advise and great positive attitude. Happy 2010. I am sure you will achieve your goals. I think my vision statement for 2010 has to be just one word: "Focus." I enjoyed reading many of these comments. I love real estate and I hope it shows to everyone I meet everywhere. When I catch myself complaining, I try to stop immediately because I truly have nothing to complain about. I try hard every day and I am lucky to work with some great people. Merry Christmas all! I like to have a Plan! Be positive, 2010 the year of the Short Sale. Be Prepared! Teri, that is what we are going to be doing over the Holidays - planning our goals for next year. I like Gary's quote. It matches "Do unto others as you would have done unto you." Teri, this absolutely works! I have a picture of something I dearly want to achieve as my screen saver for my computer and on the wall in my office. I see it all the time and remember what I am doing and why. No matter what it is, it helps to "see" it! I owe my wife of 38 1/2 years a trip to Paris in eighteen months. The Eiffle tower webcam is on my iGoogle page every day. Great to have a mantra. Stick with it and you will get there. Teri, tis the season to set our goals, our visions, our watchwords. I like your idea of putting compassionate and listen on a note on the frig. The word I've chosen is consistent. And now I want that to apply to becoming more compassionate and being a better listener. For 2010 I will tack up the words "GREEN" and "EXPANSION" onto my fridge. Setting goals is always a great idea. I like to strive to at least do as well as I always do regardless of the market forces. Goals and a vision statement are necessary in order to know where you are going and you need a plan to get you there. I love your list. I like to live every day a little better than I lived the day before. Now is the time of year I set back and take an assessment of where I am and where I want to be. Good article on planning. On a personal note.... I just saw a bottle of wine called.... you guessed it! Lady In Red!!! This could be a unique little gift to give to your clients/customers! You might want to list it on one of your LISTS for future reference! I,too, make lists, but I also have goals. Goals are good, lists are good and the main thing is keep the action going. "Do the Dance" as Brian Buffini recommended in his Turning Point Retreat. Great post. Kathy, wow! Who knew? What a cool idea. That would make me memorable wouldn't it? ;-) Thanks for the tip. It's that time of the year when we must set our direction for the next. I like reading everyone's thoughts and ideas as I ponder mine. Thanks for the peak into the minds of many. My motto is... "Life is too short to work all the time!!!" In 2010 I want to play more: Ride my touring Piaggio with my husband on his Harley. Ride our horses. Swim...love to swim. Gonna get a pool, even if it's above ground. Enjoy and hike with my 5 purebred, rescued dogs. Go see my daughter, whom I adore, down in St. Petersburg, Fla. Read more. Enjoy friends. We have once a month what we call, GNO-GNI night. (Girls Nite Out-Guys Nite In). I'm also a writer. Write more. 27 years in real estate and especially the last two years have been a struggle just to make it in this economy, hit especially hard in resort areas, such as ours here in the W. Car. Mtns. I feel like if I can play more, then folks I meet while playing, is my net-working. Enjoy!!! Teri, always good to read another Realtor's goal/vision/motto. Mine includes a 'Business' and a 'Personal' goal. I work at being the best I can be each and every day. I keep in mind what I want to accomplish in business every week while allowing myself to become the person I was meant to be. Work hard and play nice for there may not be a tomorrow. Make each day count and most of all, If it doesn't affect your breathing, it's not important. Have a Great and Happy New Year to all! Post © 2019 Mesa, Arizona Real Estate Mesa Arizona Realtor, AzLadyInRed (Homes Arizona Real Estate LLC). Design © 2019 ActiveRain, Inc. All rights reserved, Inc.